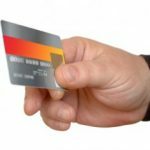 As you’re likely aware, many credit card companies have switched to a model where they offer a base level of rewards (typically 1%) plus bonus rewards (usually 5%) in certain categories. Citi is amongst those who use this rotating categories model and, unfortunately, you have to re-enroll each quarter. From October 1st through December 31st, you can earn 5% cash back on purchases at electronics stores, toy stores, and Macy’s. Electronics stores are stand-alone merchants that sell or lease a wide variety of electronic goods, including computer hardware. Toy Stores are stand-alone merchants that sell toys and games, and may sell a limited selection of do-it-yourself craft or hobby kits. Also, if you don’t already have the Citi Dividend Platinum Select Visa card, you can get a $100 cash bonus by applying for one, getting approved, and after $500 in purchases within the first three months of account opening. 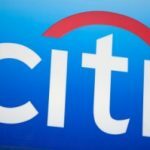 As with the Chase Freedom card, we’ve had this card for years and have never had any problems getting Citi to hold up their end of the bargain. You just login, request the check, and it shows up in your mailbox within a week or so.